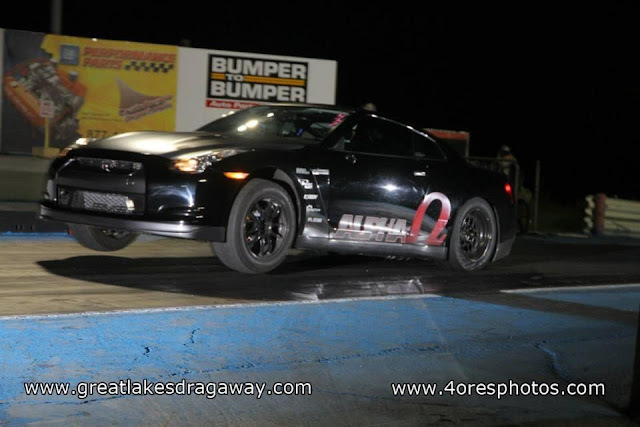 All it took was a little more 60 foot, and a little more power, and the AMS Alpha Omega Nissan GT-R just broke into the 7 Second zone. 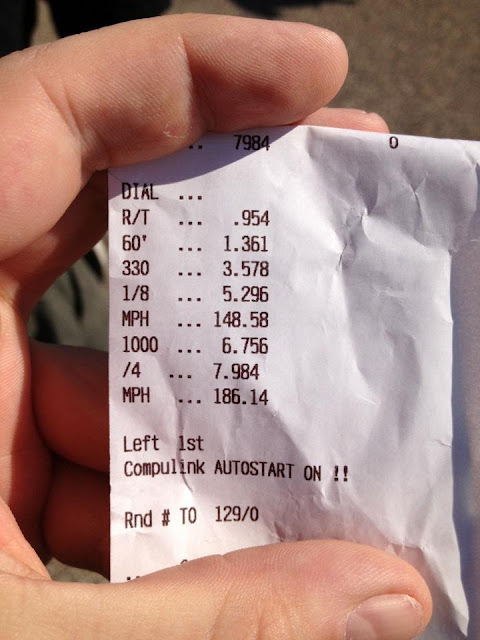 In this picture posted by John Shepherd, of Sheptrans, the AMS car went 7.98@186 mph with a 1.36 60 foot. Way to go guys. Amazing time and mph. Way to raise the bar. Looking forward to some pictures and videos soon. 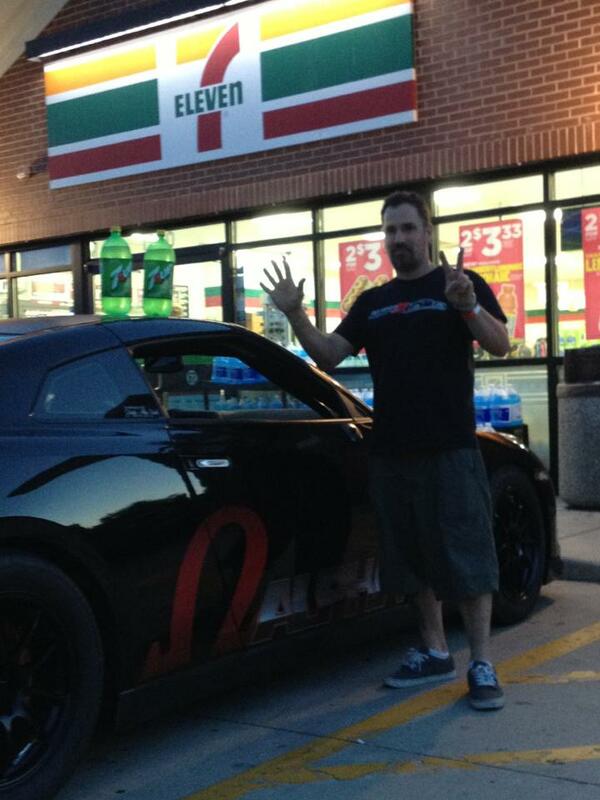 After you run a 7, you run to 7-11, to get 7-Up. Ivan posing with Alpha Omega.